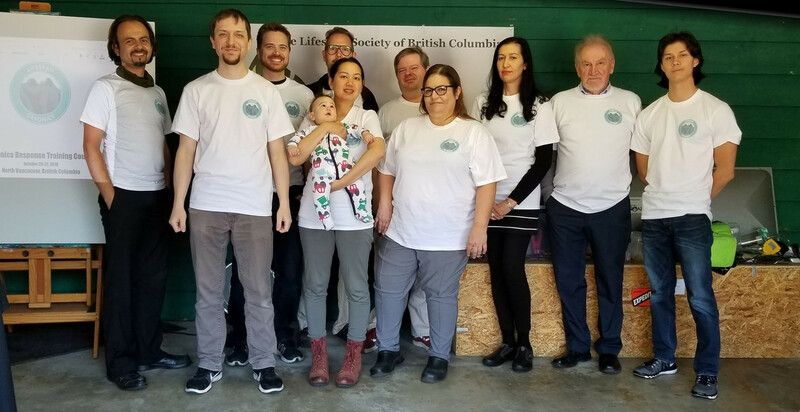 For the past six years, the Lifespan Society of British Columbia has been focused on resolving uncertainty that existed with regard to the legal prohibition of the marketing of cryonics on the expectation of revival. In 2018 we were pleased to finally reach a resolution of this issue with the provincial government. This allowed us to turn our attention to our local cryonics readiness preparations. While there has been a previous cryonics case performed in the province, none of our society members were involved in it and all local arrangements were performed by a funeral director. A simple Google map search shows that Vancouver, BC is 2,498 km away from Alcor and 4,029 km away from the Cryonics Institute. Our local cryonicists need the ability to help ourselves while waiting for more highly trained and better equipped professionals to arrive if an unexpected case transpires. We decided to conduct a two day training course that would introduce us to the basics of standby, stabilization and transport. We arranged to have Christine Gaspar who is the president of the Cryonics Society of Canada and who has done some consulting work with Alcor come out and provide us with instruction. In addition we arranged to have Eric Vogt, a co-founder and cryomedic at International Cryomedicine Experts conference in with us and provide us with his field-tested expertise. The course took place the weekend of October 20-21st in North Vancouver, British Columbia. Our course was well attended with people joining us from as far away as Victoria and Kamloops. We went through our local kit and learned to use many different items. We were also able to evaluate weaknesses and omissions in the kit that we will need to resolve to reach a decent state of readiness. Our kit contains a mechanical cardiopulmonary support apparatus but it needs a few things to be operational. Also we do not have a dedicated patient ice bath which would be standard in most full-fledged set ups. We used manikins from the local ambulance society to practice procedures such as inserting a King Airway which effectively separates the esophagus from the trachea allowing artificial respiration and chest compressions without allowing stomach acid to leave the digestive tract and cause problems. Several of the people who attended were new people who we had never met before so it was great making those new connections and having the enthusiasm that comes when people become involved for the first time. Our attendees ranged in age from 20-70s. We discussed the basics of readiness that all cryonicsts would do well to keep on hand themselves including a rugged body bag, sodium citrate, a bone injector gun, and a freezer full of ice. Obviously these would provide for a less than optimal preservation but it would be better than not having them available. While our preparations at this time are on a path towards being able to reach water ice temperature (32 degrees Fahrenheit, 0 degrees Celsius) for transport, our medium-term goal will be to acquire the means to perform a so called field vitrification which allows much more time for transport at dry ice temperatures (-109.3 degrees Fahrenheit or -78.5 degrees C). It is quite sobering to realize the current state of the art in cryonics more than 45 years after the first organization was founded. This is still a very small field with limited resources and people involved. However the people who are involved tend to be very dedicated and have contributed a great deal towards our understanding of the processes that need to be developed and perfected to continue the quest towards effective suspended animation. We intend to keep working on these things over the long term, but there are people signed up who don’t have time to wait, and many others who are not even signed up. Cryonics is still absolutely an experimental technique. But the alternative has a known success rate of revival of basically zero so with luck, it seems like a good bet. Getting to know your local cryonicists and developing an action plan to be able to help each other out is a fantastic way to spend a weekend. I look forward to our next training session - we won’t wait six years to hold the next one.